Clinton is Whidbey Island's southern porthole to the mainland. Be prepared to take a deep, relaxing breath upon arrival in Clinton, and leave the "rush" of mainland life behind. 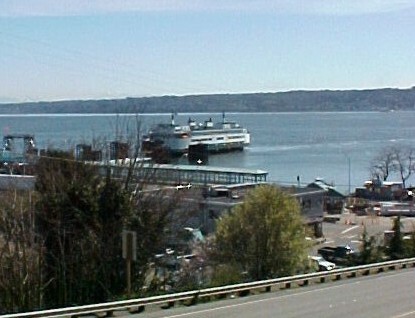 The ferries serving the Clinton/Mukilteo run hold a maximum of 130 vehicles each way and many more foot passengers. From most areas of Clinton, the ferry terminal is only minutes away. Properties in Clinton vary from waterfront mansions with views of the mountains and lights from the "city" which can be reached by boat or car, to mini-farms in the picturesque Maxwelton Valley, to canal homes on the south west side with community swimming pools and easy access to Puget Sound. Clinton's amenities includes hardware, automotive, and grocery stores, a gym, post office, pharmacy, animal clinic, attorneys, fast food and much more. Just remember to keep things in perspective- you are not on the mainland! Clinton's population is expected to reach a whopping 2,400 people early this year, according to the Whidbey Island Economic Development Council. Some of the best crabbing and salmon fishing in Puget Sound can be found in the waters between Clinton and the mainland. Clinton was founded in 1875 by Edward and Henry Hinman. They named the town after their home town of Clinton, Michigan. As Clinton was a steamship stop, Clinton's founders discovered profit in providing firewood to the passing steamships. Some of the most beautiful drives on Whidbey Island can be experienced on the meandering roads of Clinton. A 20 minute ferry ride from Clinton to Mukilteo, WA and you are minutes from Everett, Lynnwood and Seattle. For information on properties for sale in the Clinton area, Click Here to search all homes for sale in Clinton. For more information on Clinton, contact the Clinton Chamber of Commerce office at (360) 341-3424.